Over the holiday weekend, I was watching a documentary on ESPN called “Catholics vs. Convicts”, which details a classic football game between Notre Dame and Miami. 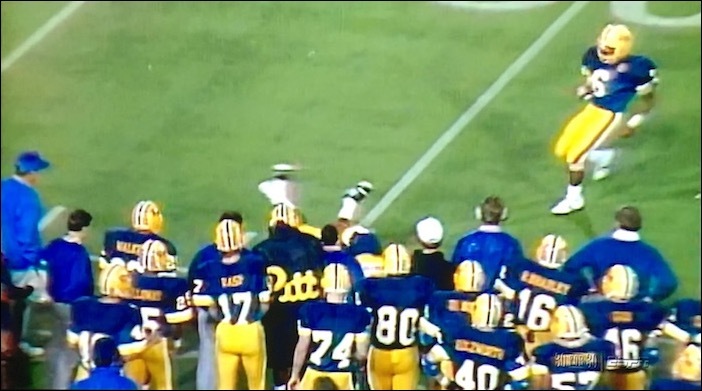 To build the drama, they showed a brief clip of Pitt playing Notre Dame during my freshman season, and I spotted myself (#74) on the Pitt sidelines. We won the game (30-22), so it rekindled some great memories of my football career.